Discussion in 'Downhill & Freeride' started by StyledAirtime, Jan 10, 2013. Ok ,this may die quickly by the flame but I thought Id give it a go. We have Stikman who actually chimes in on the odd occasion ,so I thought Id put up a thread about new gear coming through the TLD brand. 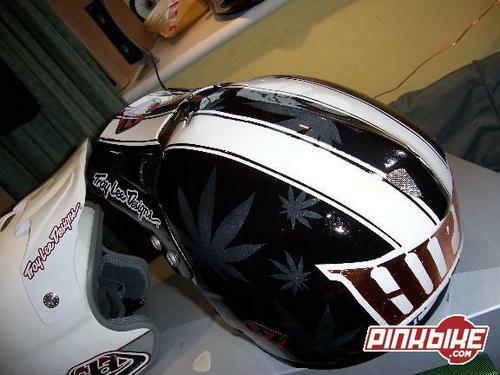 Im a huge fan of TLD helmets (painted for athletes) and have been since I was just getting into the sport and saw Peatys early lids. So maybe if we make a space for the paint shop to post the odd teaser Stik may help us (me) out. He did last year with Semenuks Crankworks lid ,and with Zinks. whats coming? 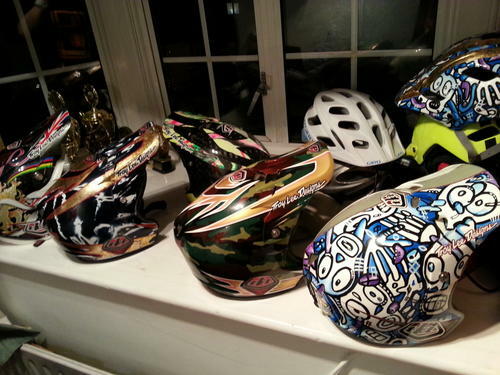 a new Sam Hill Sig Lid and an Aaron Gwin Sig Lid. whats here? 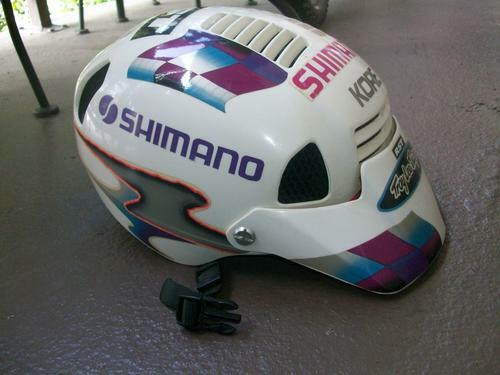 the Maddo and Jeremy Mcgrath Sig gear ,followed soon by Pastrana and Nate Adams gear. will we see mountain biker sig kits? DC are doing it? could it happen? Stik made not-so-subtle hints in the TLD signs Gwin-interview (and the 2012 team rumor-thread) that an enduro lid might be coming soon. Stik did say watch this space. There was a rider at the AT showdown with a D3 openface. Will see if I can pull the picture. 2013 and still no hypercolor. I am disappoint. Might have been homemade jobs. I've seen quite a few D2's turned into open face D2's with some basic cutting work. Retro is definitely back. Fvcking hipsters. Or it was just a D2 open face, no cutting needed. If you see the 2013 se pro orange and yellow. That's hyper color! Well, since it's been discontinued any that you see with modern graphics are a custom/homemade job. It's pretty easy, but not sure TLD would appreciate me showing how. i don't think wanting color changing kits is asking too much. we've had the technology since the 80's. 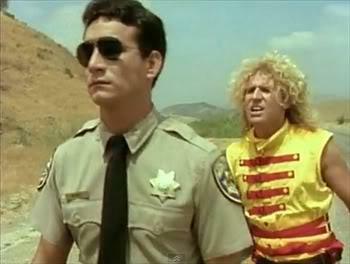 I want a Sammy Hagar signature kit with a D3 modeled after his hair. the "Ziggy Stardust" colourway. make it so. or a sgt pepper themed series. steve bafus was rocking a d3 open face at the at showdown. his is a custon one he just cut the face guard off. he has pictures on instagram i think mericanradness.com proably has some pictures on it to not sure though. ^^ Just needs the Jofa . . . I've been needing a good half mask. 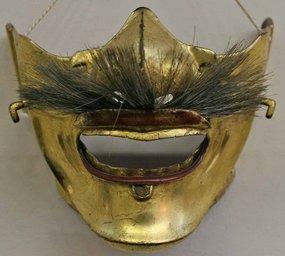 Also, a mouth guard that is compatible with my moustache. There was a rider at the AT showdown with a D3 openface. Will see if I can pull the picture. He literally took a hack saw to his d3, then covered the cuts with electric tape. Steven Bafus. We did not intend on doing that. 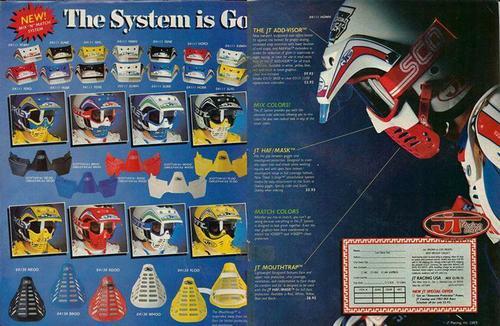 Bring the open face back, but make sure you also include the moto trials world in your adverts. 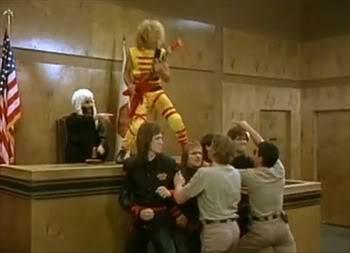 I had steered a few of my trials riding friends towards the D2 open face and they love em. 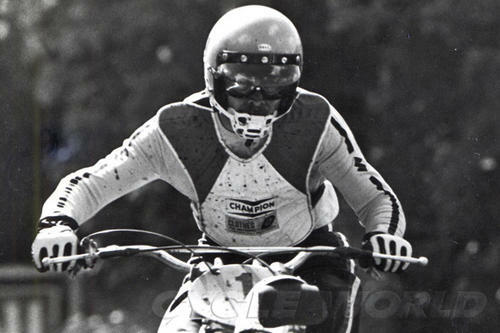 I have now bought myself a trials bike(such an awesomely fun sport) and wish I would have bought the D2 open face when everyone was blowing them out.......I now find myself half way through cutting of the jaw of my D2. Just need to reglue the molding. 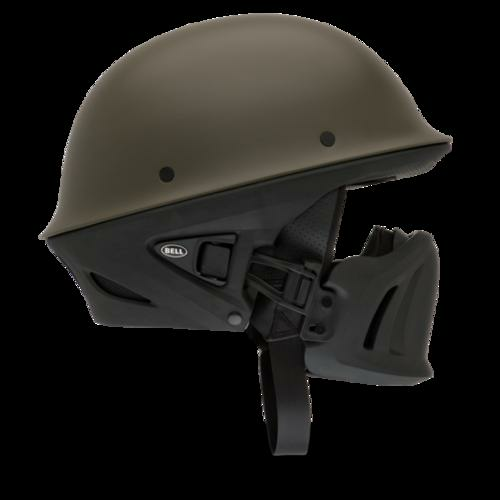 Good trials helmets can easily go for $300-400. Got a bit worried when I saw the old OF D2, but I'll just slip back into my quiet anticipation then..
Also, I'll be inclined to buy the TLD helmet if it stands between that and some other equivalent, I'll pick the TLD just because you take the time to come here and gossip about it. That's customer relation gold! Has a sort of wehrmacht helmet look about it. This^^. I was a junior wanker at Big Bear in '97 and Troy was going around the pits finding anyone in his just-released mtb gear and introducing himself. "Hi, I'm Troy. Hi, I'm Lee" gave us both a laugh (not that he'd remember). 15 years later and Troy was still making the rounds at World Champs in Leogang, looking after his riders and getting genuinely psyched on DH racing. I have never worked with anyone more stoked on Racing, than Troy...well, Rob Roskop from SCB is pretty addicted to racing, but Troy spreads it into more sports I guess haha. Our budgets have to be spread over so many sports, luckily MTB, BMX and Moto take the lions share (hell, Troy is the only gear company that his its own moto team! )...so, love or dislike us, one thing is for sure, we love racing, riding bikes, and working with our racers to make better product for you. Well, fortunately the kit for MOTO/DH/BMX aren't worlds apart, so I guess that helps, but owning a few pieces of TLD kit myself I realize the amount of thought that goes into them. Then I guess the Krusty looks are a matter of personal taste. Now, if you could only find space to put a pocket for the lift card in the DH pants, I know a lot of people who would be happy Bros.
+1 love the open faces & cut down d2's are perfect for moto trials, Warner & Peaty still rock them..
Now, if you could only find space to put a pocket for the lift card in the DH pants, I know a lot of people who would be happy Bros.
you don't need pockets in mx, so you don't need them in dh too because they love racing! infact they love all sports equally so all sports get the same gear! yay awesome! anti much? they have a full range of MTB gear and MX gear ,and the SEPRO BIKE is a step in the right direction. I bet in the next few seasons as the line developes you'll see things like a bike pass pocket come in to the range. why can't people be more positive on these forums. 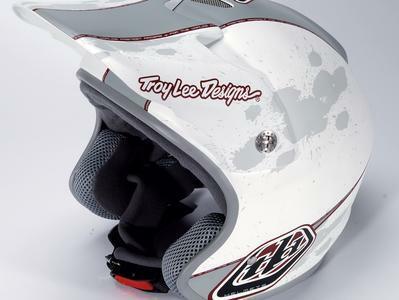 We have a direct line to Troy Lee Designs here. something that will just up and leave if you are all negative about everything. "Front shuttle pocket for cell phone or keys. Front D-ring for east access and storage of bike park lift pass"
Boom. Although not sure what east access is. I agree though, car thieves should be checking for keys under wheel arches of anyone seen wearing Troy Lee kit.